Gastric cancer is one of the five most fatal types of cancer. According to the statistics of the World Health Organization (WHO), about 750,000 patients die each year after developing the disease. The main cause is thought to be the bacterium Helicobacter pylori (H. pylori). At present, there are no effective therapies for gastric cancer and growing spread of antibiotic resistances is further complicating treatment of the infection. Researchers at FAU have now identified two mechanisms through which this bacterium can cause gastric cancer. Their findings could result in the development of new therapeutic approaches. The team has published its results in the leading journal Cell Host & Microbe (doi: 10.1016/j.chom.2017.09.005). The international team of scientists headed by Dr. Nicole Tegtmeyer of the Chair of Microbiology at FAU investigated how bacteria destroy the stomach’s protective layer. This protective layer is composed of densely packed epithelial cells that protect the stomach against the effects of gastric acid. The researchers have now discovered that H. pylori secretes an enzyme, a protease called HtrA, which it uses much like a weapon to penetrate this protective layer. HtrA cleaves the three proteins occludin, claudin-8 and E-cadherin, rupturing the layer of epithelial cells. As a result, the H. pylori bacteria can access deeper, normally pathogen-free tissue layers, and inflict further damage. This is the first step towards gastric cancer starting to develop. This first phase, however, is followed by one that is even more dangerous, as the team discovered. Needle-like protrusions, termed type IV secretion systems, are activated and function as ‘molecular syringes’. Using a receptor-dependent mechanism, these inject a bacterial toxin, the CagA protein, through the basolateral membrane of the host cells. The injected CagA subsequently reprograms host cells, making them potentially cancerous. Another effect of this protein is that it prevents the human immune system from recognising and eliminating the bacteria – a crucial mechanism for the long-term survival of H. pylori in the human stomach. Dr. Tegtmeyer expects these findings will make it possible to develop important new antibacterial therapeutic approaches, as HtrA and CagA are ideal novel drug targets. The team has already started to test specific HtrA inhibitors. “We hope that suitable active agents can either completely prevent infection or inhibit the injection of CagA,” explains Tegtmeyer. 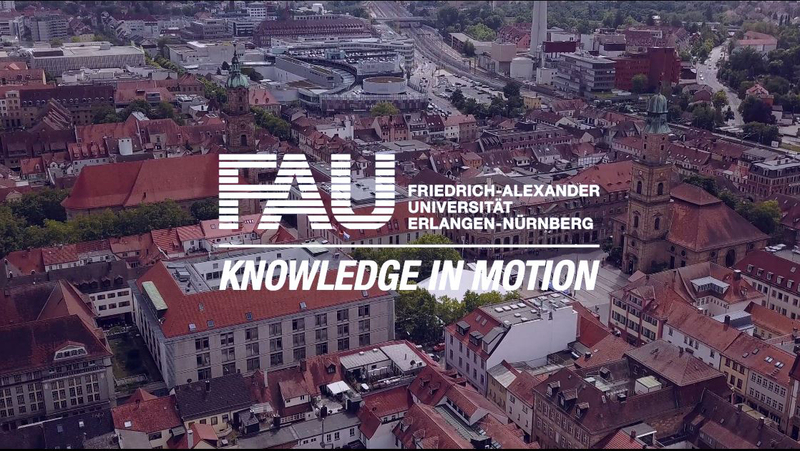 The publication is the result of a multi-year research project undertaken in collaboration with Prof. Dr. Silja Wessler of the University of Salzburg and Prof. Dr. Steffen Backert, holder of the Chair of Microbiology at FAU. The project is being funded by the German Research Foundation (DFG) as part of the Collaborative Research Centre ‘Checkpoints for Resolution of Inflammation’ (CRC1181/TPA04 and Z02) and DFG TE 776 3-1; other working groups in Germany, Italy, Portugal and Switzerland are also involved in the project.